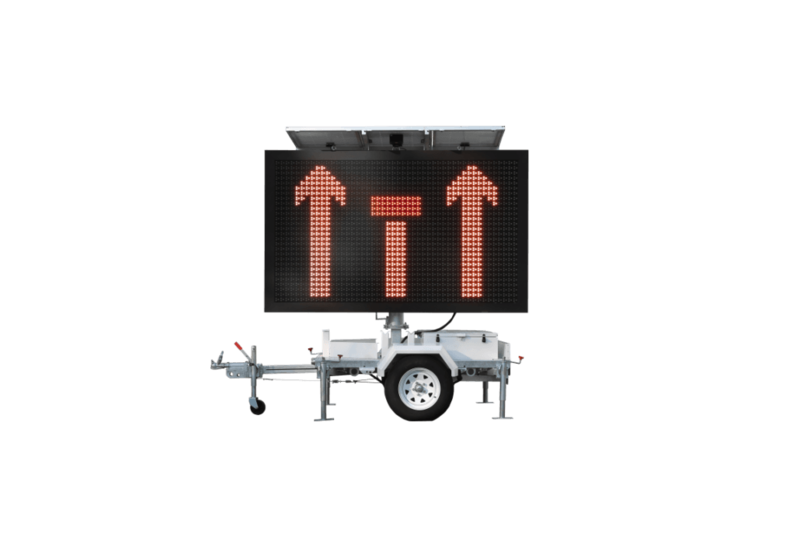 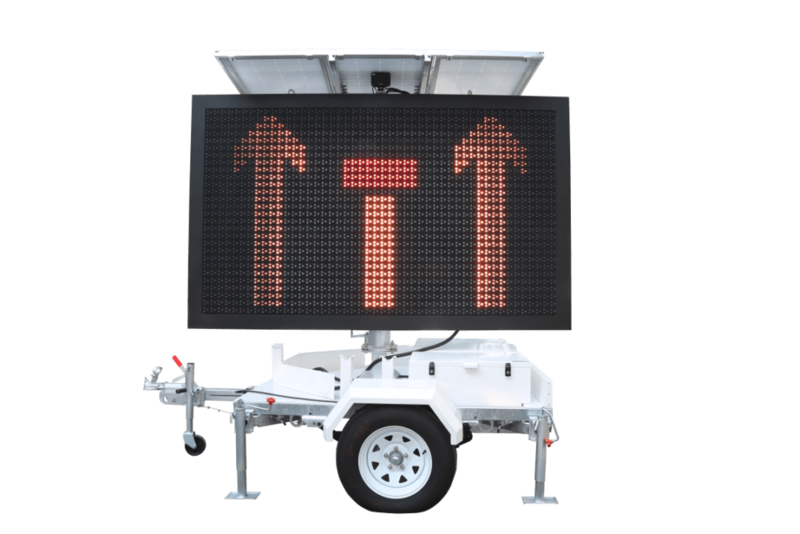 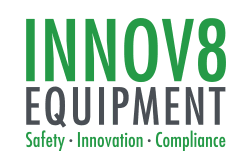 Announce changes to usual conditions with a solar powered Variable Message Sign (VMS) board from INNOV8 Equipment. 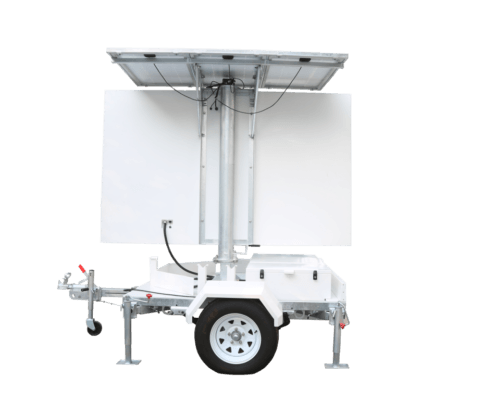 Available in two different sizes, the “C Size” VMS trailer is the larger of the two. 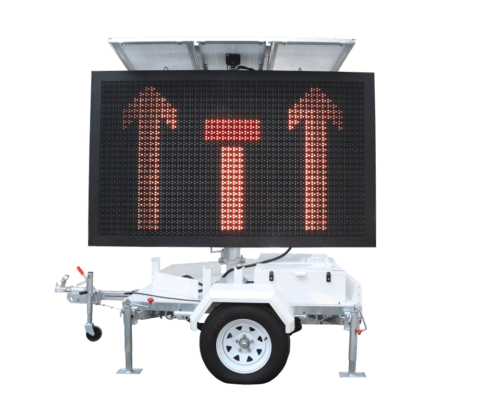 Event announcements, upcoming changes to traffic conditions and communicating driver speed are common examples of what you might see on a VMS Board. 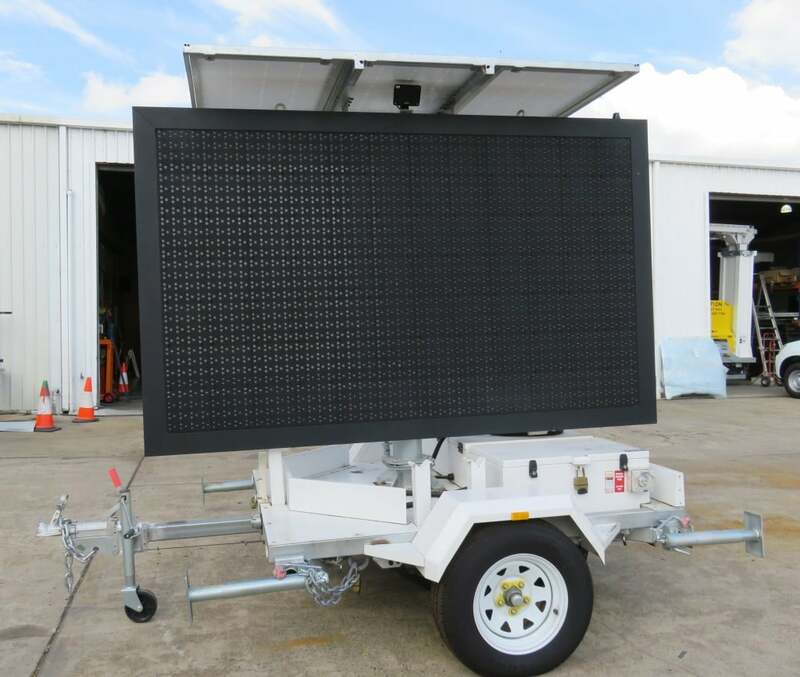 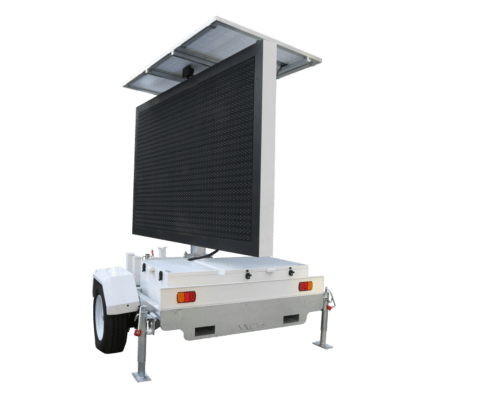 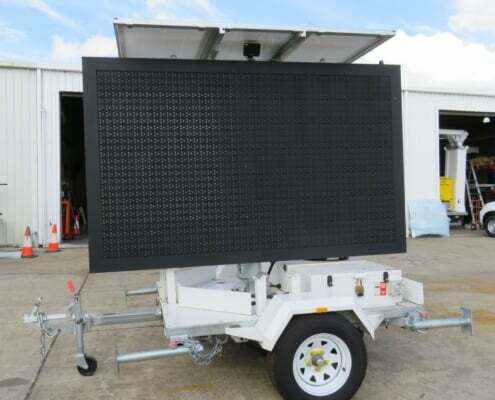 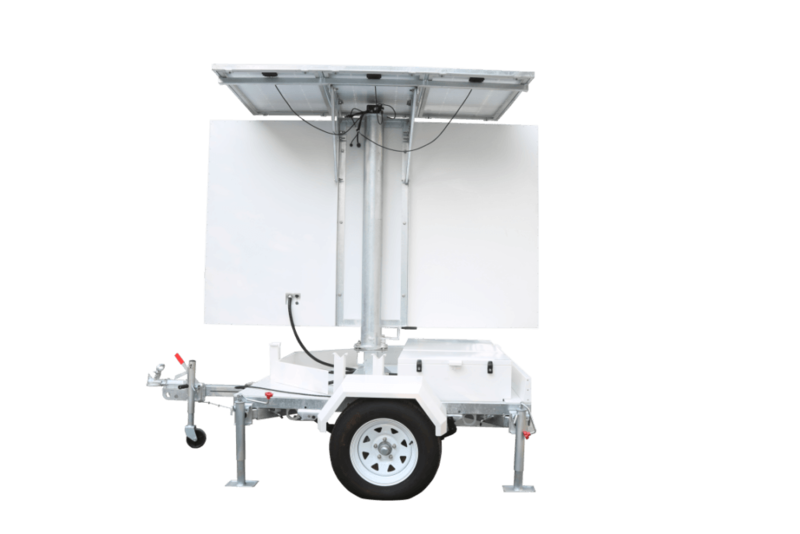 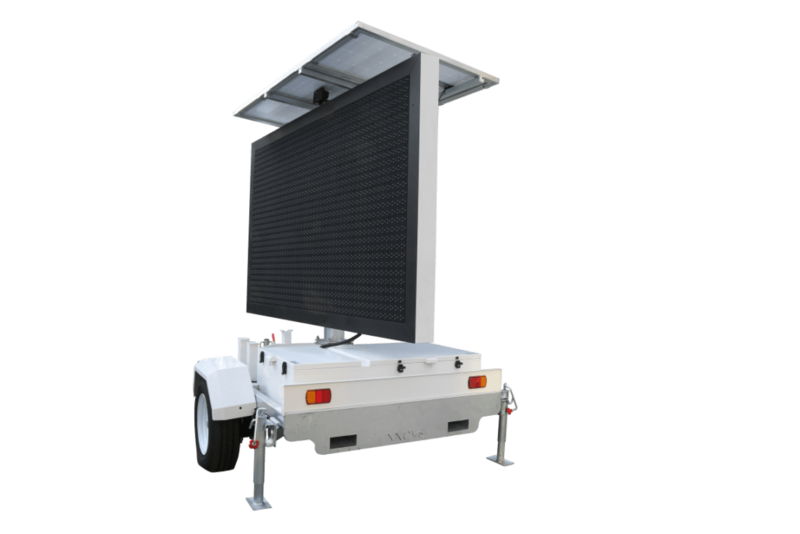 Powered using sustainable solar energy and trailer mounted for easy portability, the functionality of our LED VMS Boards makes them a first choice for many different users. 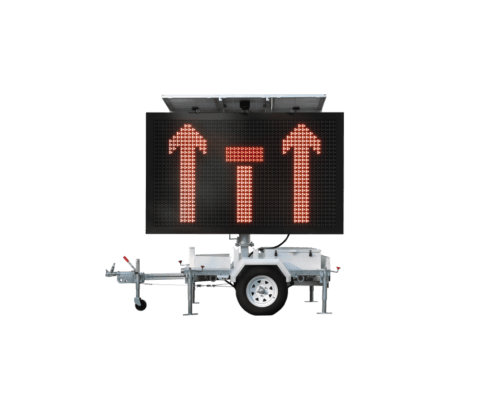 Strong, full colour LED lights ensure your message is easy to read, even during daylight.